The Wi-Fi Alliance caused a minor stir late last year when it announced a switch in naming conventions for Wi-Fi. Gone was the complex naming scheme featuring seemingly nonsensical letters, being replaced by Wi-Fi 6 (or 802.11ax) as the next-generation standard. The new naming scheme also retroactively applies to the older 802.11ac technology (Wi-Fi 5), and the even older 802.11n standard (Wi-Fi 4). But there’s more to Wi-Fi 6 than a new naming convention though, as the next generation of Wi-Fi has numerous benefits compared to previous iterations. Arguably the biggest focus for Wi-Fi 6 is reducing congestion and allowing more devices to connect to a network. This is first accomplished by the use of MU-MIMO technology, allowing multiple users to be handled in one go. Think of it like a fuel station that only has one pump versus a station that has several pumps available. Wi-Fi 6 also utilizes other technologies like OFDMA and transmit beamforming to improve efficiency and network capacity respectively. All of this means your home network shouldn’t come to a crawl if you’ve got a ton of devices in the household. With today’s households including smartphones, laptops, smart TVs, and more, it’s certainly a challenge worth addressing. These tweaks should also make for a better experience at places with loads of people, with the alliance specifically mentioning retailers, apartment blocks, transportation hubs, and stadiums. Interestingly enough, this is also one of the benefits of 5G, allowing for more people to stay connected during sports games, music festivals and other mass events. Another benefit of Wi-Fi 6 is out-of-the-box support for the WPA3 security standard, which should make it more difficult for people to crack your Wi-Fi password. Smart home and more use-cases coming? The last Wi-Fi standard (Wi-Fi 5 or 802.11ac) was introduced in 2013, although we also saw a “Wave 2” off-shoot emerge in 2016. Much has changed since then though, owing to the ubiquity of smart speakers and smart home gadgets in general. In fact, the IDC reckons that there’ll be 1.3 billion smart home gadgets (including speakers, thermostats, and connected lights) by 2022. The updated standard uses 1024QAM to boost bandwidth for emerging use-cases, and target wake time (TWT) technology to increase battery life in Wi-Fi-enabled devices and IoT clients. The Wi-Fi Alliance says 1024QAM delivers a 25-percent boost to throughput at short range compared to Wi-Fi 5. Meanwhile, TWT allows devices and the access point to effectively negotiate when they’ll wake up to send/receive data, based on expected network traffic. This saves all devices from constantly having to wake up to check for data. The tech can also result in reduced congestion, as the access point is able to schedule wake-ups without having any overlap between devices. What do you need for Wi-Fi 6? Wi-Fi 6 requires users to have both a compliant router/access point and a smartphone/tablet/laptop supporting the new standard. If your device is supported but your router isn’t (or vice versa), then you won’t be seeing all the benefits. Several Wi-Fi 6 routers are already available on the likes of Amazon, with brands such as Netgear and Asus offering wares. These routers aren’t cheap though, varying from $340 to $500. You might want to wait a year or so to upgrade if you really must have the new standard. Furthermore, the Wi-Fi Alliance told Android Authority that certified routers are coming in the second half of 2019, implying that these current products aren’t certified. There are relatively few smartphones available right now that pack Wi-Fi 6 technology, with Samsung’s Galaxy S10 series being the first major flagship family to support it. This situation should improve thanks to the adoption of the Snapdragon 855 chipset, which indeed offers Wi-Fi 6 support. The Galaxy S10 series is the first major phone family to support Wi-Fi 6. It’s all good upgrading to the next big standard, but you should ask yourself why you’ll need a Wi-Fi 6 router in the first place. The standard is theoretically capable of speeds of roughly 9.6Gbps, the alliance told us. But it added that you can expect gigabit speeds with “the right conditions.” But most people aren’t on gigabit internet connections right now, so it certainly makes less sense to upgrade to Wi-Fi 6 if you’re on a 100Mbps or lower internet connection. In an environment with loads of gadgets, such as a mall, office or public building? 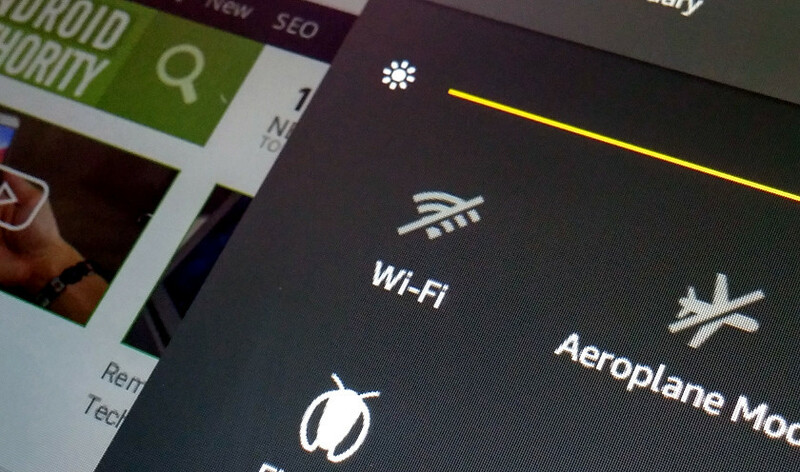 Then Wi-Fi 6 will help ease congestion for all devices. But you’ll want all devices on the network to support the standard in order to get the full benefit. Haven’t upgraded your home router since the days of Wi-Fi 4 (802.11n) or earlier? Then why spend your money on an expensive Wi-Fi 6 router when you can either wait for the price to come down or opt for a cheap Wi-Fi 5 device instead?